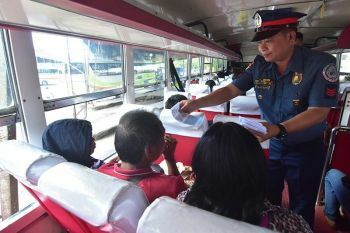 THE Cagayan de Oro City Police Office (Cocpo) on Friday, January 18, denied hand in the supposed police profiling of teachers in Cagayan de Oro, but added that this move only meant to maintain peace and order here. Cocpo spokesperson Superintendent Mardy Hortillosa said its office did not issue a mandate on teachers profiling to the police stations. 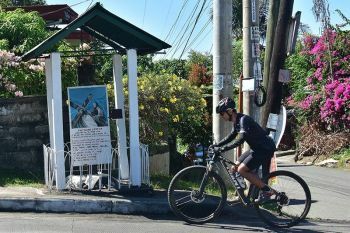 Hortillosa said it is however the station's initiative to monitor their area of responsibility in order to maintain the peace and order. He added that the letter request did not violate the rights of the teachers. “Sa amo nga tan-aw, wala man mag-violate ang ato police niadto kay iya man jud gi-request para iyang mahibal-an ang miyembro ug para maistorya,” he said. 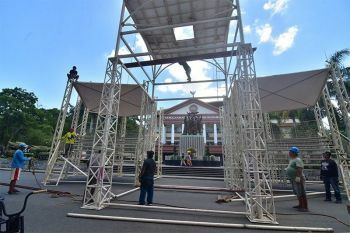 Hortillosa said the police officers only want to talk to the teachers and warn them that their group could unknowingly be used by leftist groups in an effort to destroy the government. Teachers' group Alliance of Concerned Teachers (ACT) in Northern Mindanao meanwhile called on the Department of Education (DepEd) regional office here to protect its teachers by not giving their information to police. Ophelia Tabacon, ACT-Northern Mindanao president said, there is a big possibility that police already gathered information of teachers in other schools as some school heads are still unaware of the DepEd memorandum directing them that, all request for personal information will be evaluated based on relevant laws and regulations in Data Privacy Act. “Possible man gud nga kung naa, dili mahibal an sa ACT members kay address man gud sa principal, pwede ra gyud nga ang police sa principal ra makipag-transact. Mao sad na akong gi-worry kay basin naay principal nga musugot ra ug profiling sa ACT kay wala sila kabalo sa memo,” Tabacon said. Tabacon said she already went to the DepEd division office requesting them to protect the information of teachers who are ACT members. “Wala pa reply but I'm positive ma grant on the basis sa DepEd order no.002 series of 2019 and naa sad statement si Secretary Briones not give any information in accordance with the Data Privacy Act,” she added.